This weekend I met my friend Michael Cannon in Hualien for a ride down the rift valley and over to the coast. The plan was to go down 193 and over to the coast on day 1, and then down the coast to Donghe and then cut into the mountains on 23, then turn south and go down to 197 and to Taitung. In fact we didn't manage the second day (route map). But we had two excellent days along the gorgeous east coast. Come along for the pics and information, and don't miss Michael Cannon's excellent write-up with great pics. We stayed here on Friday night, the French Jesuit mission hostel, which is open to the public. It was $300 NT for a room with an attached bath. The catch is, the main gate is closed at 10 pm so you have to be back at the hostel at ten. Not a problem if you are riding early like us. We had breakfast at this popular steamed bun place on Chungshan Rd not far from the coast. Delicious and very filling. It was clouded over but soon gave way to sun and white puffy clouds. Then it was south out of Hualien through Jian and across the bridge on 11 where 193 splits off to the right. Entering the scenic area, we stopped for the obligatory Bike with Sign shot. For those of you from Taichung, we ran into the brother of Rocky from T-Mosaic bikes at the end of the bridge. Michael takes in the views. We ran into this fellow practicing his archery. The bow, Michael observed, was made of bamboo. 193, as the bike hanging there hints, is a major bike route and we encountered many cyclists on the road. It is rolling, but gently, and there are no serious hills. A very pleasant ride. A farmer framed against the mountains on the far side of the rift. The route is totally scenic. 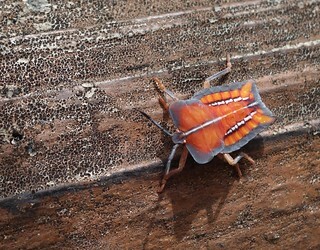 A moth rests on a leaf. A bike rests by a farm. We stopped at a junction to buy drinks and met these men enjoying conversation. It was mother's day, and all along the route people were celebrating. Gradually the day cleared into clouds and light. The minimum security prison. You can get water here by the toilets in the parking lot. It is also the peak altitude of the ride; from here you roll downhill to Rueisuei. Just before this point the sun got so bad I became woozy and had to doze along the roadside for ten minutes before I could resume riding. It usually takes me a few weeks before I am used to the summer sun here in Taiwan. Looking down the road to Rueisuei. Michael grabs a drink on the bridge into Rueisuei town. 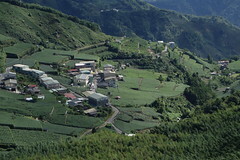 Just before the bridge is the turn for Hualien County Road 64. We were headed there after lunch. Rueisuei town, with food, places to stay, 7-11, bike rentals...civilization. Michael grabbed a shaved ice dessert here, and then we headed back over the bridge to Hualien 64. 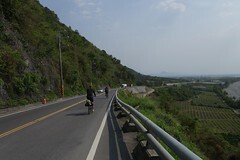 From this point, we go 22 kilometers through the hills to Dagangkou on the coast, where Highway 11 crosses the great red bridge. Beautiful views on 64, and plenty of climbing. A road the Bike Gods made as a reward for the faithful. The grades are not difficult. The first climb is the highest, to over 200 meters and stunning views. 64 follows a river gorge flanked by low peaks. The further in you go, the more amazing it gets. S-curves, steep descents, good climbs, scenery, 64 has it all. 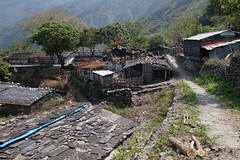 We stopped in the little hamlet of Chimei to get a drink. Finally, after two hours of riding, taking pictures, and resting, we reached Highway 11 and the coast at Dagangkou. The sea and sky offered lovely shades of green and blue. Feeling like we accomplished something. From Dagangkou we rolled down the coast to the small town of Changbin, staying at this minsu just before Changbin. It was $400 a person for a very large room, but you'll need your own towel, this place uses those hopeless paper disposables. We had done 122 kilometers and 1300 meters of climbing. The next day was gorgeous but we were still pretty beat from yesterday's ride, so we decided to do the leisure ride down the coast. We stopped by Donghe for the famous steamed meat buns and some 7-11 coffee, then rode down to Sanhsientai. Pretty place but overrun with Chinese tourists. 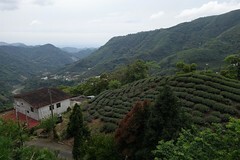 ....through the mountains on the southern link line and back to Kaohsiung and home. 85 easy kilometers on the day. What a great weekend! Wish you had been with me. 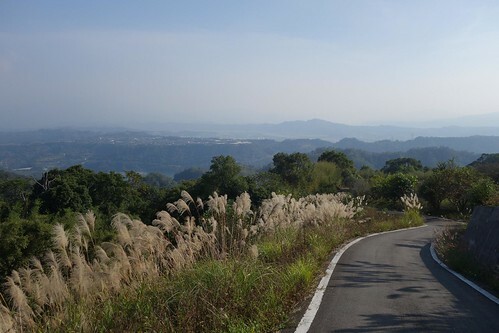 Looks like you guys had a great ride Michael - beautiful part of Taiwan to ride in. mmm can't wait to get down the east coast, looks wonderful. Nice Pics. Thanks. I think I've been to that bridge in ShanSienTai. Real hot day that day, too. Great write up and amazing pics. Fantastic! I'm turning off my computer right now and getting on my bike. This brings me back--I lived in Taidong for several years, mostly in the late 80s/early 90s, and know many of the roads and points shown here--nice pics, too. I've been following Michael's posts for some time, but have to confess that the only "bikes" I ever owned in Taiwan were vintage Sanyang 125cc "Wild Wolfs" (yelang). ECFA not panacea for free trade agreements. Taiwan Brain Trust Poll Outlier?